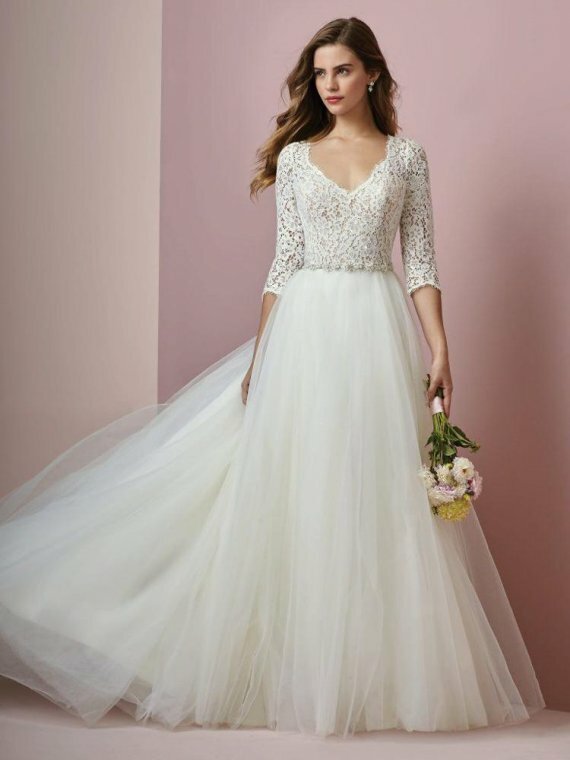 This soft and romantic wedding dress features an allover lace bodice with three-quarter sleeves, a V-neckline, and a keyhole back. An attached beaded belt completes the ballgown skirt, comprised of tulle. Finished with pearl buttons and zipper closure. Size US10 (fits as UK12).